Racial discrimination in the workplace is illegal. But you would be surprised to know that it is practiced in number of organizations. Various crimes related to racial discrimination take place at the work, such as harassment, assault, criminal damage, distress, and more. Any policy that fails to maintain equality among people of various groups, colors, genders and religion also comes under racial discrimination. This type of racial discrimination is known as indirect discrimination. For example, if an organization states a policy that employees are not allowed to wear hats at work then this is a form of indirect discrimination. Primarily, there can be 3 types of racial discrimination in the workplace. This is a form of discrimination when an employer treats an employee in a different and unequal way as compared to other employees in a similar situation. This form of discrimination must not be practiced in the workplace. For example, there is one employee John from African America, and another employee Albert from America. Both of them go out for a lunch and get back to work a little late. The boss is waiting for both but he leaves Albert with a warning, while fires John straight away from the job. If the reason to fire John is simply that he is black, then this is racial discrimination. But if John has been fired because he has practiced the same for few times even before then this is legal. This is another racial discrimination where an employer differentiates among employees through a policy or practice. The policy can be related to promotion, employment, or any other vital aspect. For example, Anna Bean an owner of a restaurant won’t hire staff members till they have a high school degree. If this group affects one group more than the other then this is a situation of disparate impact. This is one practice where racist jokes, racial slurs, abusive comments, and all sorts of offensive behaviors are involved just because of the pervasive, unwanted, and severe behaviors that may affect the quality of performance and life at work. Charles l. Walker in 1999, experienced segregated bathrooms and ‘white-only’ water showers while growing in his native region West Virginia. He confirmed that the worst racism he experienced was being a mechanic at the American Airlines at the International Airport of Los Angeles. Also, Walker was greeted with a handwritten letter stating ‘All Blacks Must Die’ when he stepped into the maintenance facility toilet in 1996. Later he identified his name written and scrawled on the walls of the toilet along with a depiction of himself with words like N*gger written under the head. He lodged a complaint with the Department of Fair Employment and Housing of the state in 1997. But the team was not able to identify the perpetrator. Later, he filed a lawsuit against the organization, which was settled out of the court in October 1999 through an undisclosed amount. Another example of racism was experienced by Harold H. Archuleta, a mixture of Native American and Mexican heritage. He filed a complaint against the American Airlines in 2000 for inappropriate termination. The same complained about violations of aircraft safety rules as well as supporting Charles L. Walker against the racial discriminations in the previous year. Mr. Harold was a mechanic for an organization and claimed that when he was fired in May 1998, he witnessed three nooses at the maintenance department he worked. Even the company did not take any measures to prevent the discrimination from happening. The first noose was identified in the area where the company used to offer time cards. Another was in front of the department of production control, and the third noose was identified when he were on his way to file a complaint. The case was however dismissed in the year 2005. This is one of the recent examples of racial discrimination where an American African processor working at the ArcelorMittal’s Buffalo, New York steel plant was gifted $25 million after various incidents of hate from 2005 to 2008, which left him with an emotional and physical distress. Mr. Elijah witnessed a stuffed monkey with a noose around the neck of the mirror of one side of the car. There was ‘KKK’ written on the plant’s walls that was closed in 2009. The jury announced a unanimous decision after a trial of three weeks. This was a painful situation for Mr. Turley where he experienced taunts and the organization was deemed liable for creating a hostile work environment even though they confirmed that they have taken adequate steps to combat the harassment. The story of Wayne A. Elliott is almost similar to the story of Mr. Walker. He was a Martin employee who was shifted from a factory job to a warehouse job in Marietta, Georgia when he was taunted immensely by his white colleagues. The taunting first started with anti-black graffiti on the restroom walls. He along with two other employees created a small group in 1997 known as Workers against Discrimination. As per Mr. Elliott, a noose occurred near his table in 1999 with threatening to a white colleague. In 2001, Elliott stated that he was hassled by his colleagues by unplugging his computer, hiding his chair or bike and performing similar constant things. Joseph Banks was another employee at the Lockheed Martin who was among the 7 other employees who filed a lawsuit in May 2000 for getting excluded from the process of promotion. The individuals also claimed that the organization failed to thoroughly identify a series of racial discrimination harassments. Mr. Banks stated that a noose was placed in his workplace area. He complained about the same to the Equal Employment Opportunity Commission. Once he filed the complaint then another employee of Lockheed Martin, Mr. Ted Gignilliat filed the complaint of witnessing the noose. She had been working as a caring professional at Housing 21 which is a retirement housing association for some time. After some time she realized that she will have a novel line manager, Nicola James in 2011. Soon there was an immense personality clash with Ms. Harper complaining that Ms. James analyzed her work more rigorously as compared to others in the team. Even her hours of work were reduced with any explanation. Ms. Harper was an Irish and she claimed that she was victim to taunts of Ms. James being a funny accent titled as Irish Gypsy. Ms. Harper took a sick leave and issued a grievance about the comments of her nationality. Eventually, Ms. Harper resigned from the job hearing that soon her position will become completely untenable. Soon the court settled the case confirming the claims for race-related harassment, racial discrimination, and constructive dismissal. Marcel Espiritu was a Filipino American employee who filed a complaint in January 1999 against the Northwest Airlines. The complaint was against the 5 years hateful comments from colleagues and supervisors about the ethnicity and language. He filed the complaint in 1996 under the Equal Employment Opportunity Commission when he witnessed a noose in his locker at the San Francisco International Airport. During the course of the case, the court identified that Northwest had disciplined few employees for using unacceptable accent and language to Mr. Espiritu and was needed to undergo training and counseling. Northwest denied any incorrect and wrongdoing settlement out of the court for avoiding expensive litigation. He was a black colored pub worker in London who was awarded a huge compensation for damaging her feelings with race harassment. The condition occurred after an employment tribunal identified that his manager, Mr. Gavriloae told him that he appeared like a pimp for adorning the St. Patrick’s Day promotional hat. If racial discrimination at workplace is going on, then even top performing employees will not receive the success they deserve. This leads to a lot of negativity at the workplace and more over it also effects the productivity of the organization. The best thing you can do is ending racism , before it can effect the whole organization completely. Create an anti discriminatory policy regarding racism and the consequences of them at workplace. Employee promotion or rewards should be purely based on their performance and merit. 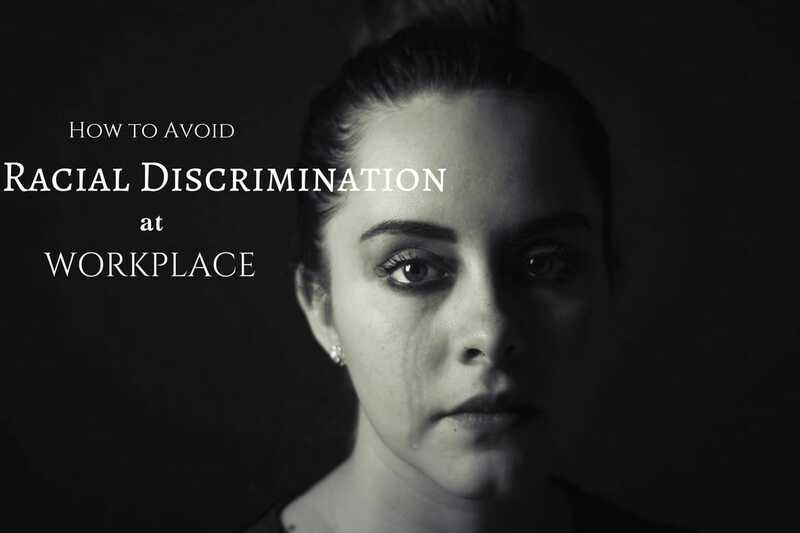 Train employee how to prevent discrimination and racism at workplace. Treating all cases of racial discrimination as per the policy created. Communication process should be simple and transparent with the employees. Racial discrimination at workplace can be subtle . This happens in most of cases and you will never even know that this is happening. You need to do a detailed analysis on the things, only then you will be able to find such outrageous things going on. Employers are responsible to look after the safety and welfare of your employees at workplace. Evaluate the policy on regular basis to ensure that its effectiveness is maintained. It is always better to prevent the situation from occurring than taking measures after it has happened. Hence, there are few ways that can be adopted in order to avoid racial discrimination from occurring at work. Make sure your workplace has a clear policy about anti-discrimination and anti-racism. The policy must clearly specify practices that must not be followed in the workplace. This also includes consequences for actions of racism in the work area. Make sure you have a diversified workforce including employees from various regions and areas. You may also inform the job candidates about your anti-racism and anti-discrimination policy before hiring them. Every employee working in your organization must be aware of your policy and practice it on thorough grounds. You must offer your employees with promotions and appreciations on the basis of their performance and not on the basis of their race or color. Only relevant factors must be considered when offering promotion and advantages to employees. This will establish a system of equality and fair promotion within the organization. As a result, all your employees will feel valued. Your workplace must have an established committee that focuses purely on racism and discrimination issues practiced in the workplace. The committee must be able to address all the issues and find appropriate solutions for the same. If you want all your employees to feel valued and offer them with an equal platform for work then make sure you offer them with an open communication platform. Your employees must possess the freedom to communicate on racism or any discrimination if they are experiencing in the workplace. Racial discrimination is an illegal practice. Be it the workplace, school, society, or any other area it must be avoided at any cost. Hence, if you want your workplace to have healthy and positive environment then make sure it is free from racial discrimination. Previous articleHow to Get an Internship at Cisco Easily?